There are many reasons one might suffer from tooth trauma: it can be caused by a car accident, a sports injury, falls, or even just biting down on a hard food the wrong way (everything from popcorn kennels to olive pits can prove damaging). Tooth trauma affects the mouth, jawbone and oral tissues. It can be extremely painful and dental attention might be needed right away – especially if a crack becomes infected. An infection affects the “pulp” of your teeth (nerves and blood vessels inside the hard dentin of your tooth’s exterior). Leaving cracks untreated can cause infections that can spread and cause immense pain, the kind that can lead to a dental emergency. If you have pulp damage due to cracked teeth, you will most likely need a root canal. Afterwards, the cracked tooth will be restored with a crown that will hold the delicate pieces together. Your tooth may also need to be extracted if the crack has spread below the gum line, though a fractured tooth that did not create pulp damage can be treated with a veneer or crown. If you’ve ever heard the words “root canal” uttered as though it’s the most painful thing in the world, keep in mind that it’s not the treatment that hurts, it’s the pain leading up to it. When you need root canal therapy, also known as endodontic treatment, you need it fast; head straight to your regular dentist. If they are too busy to see you, you may need to head straight to an emergency dentist in Toronto like York Hill Endodontics. It’s a clinic that’s home to root canal specialists Toronto residents depend on when they need relief from pain fast. They use state of the art equipment, like Cone Beam Computed Tomography, digital radiography, and a surgical operating microscope. 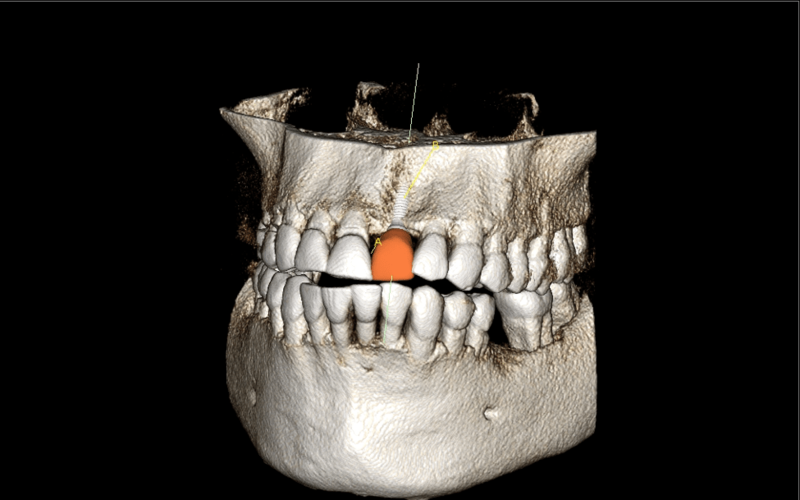 The CBCT used by York Hill Endodontics creates three-dimensional radiographic images of the inside of your mouth, giving dentists a better picture of what’s going on in there. They can more easily and accurately diagnose disease and target pained areas. Cone Beam Computed Tomography also minimizes the amount of radiation the patient is exposed to, eliminating concerns about over-exposure to X-rays. Do You Need a Toronto Endodontist? There are many treatments available depending on the severity of your injury. Anytime you have a cracked tooth and infected pulp, make sure it’s seen by an endodontist in Toronto. Minor tooth injuries can be treated by your regular dentist, but a specialist will make sure that the job is done right and that you don’t have to have endodontic retreatment because of a re-infection. If you’re looking for an endodontist in Toronto, ask your family dentist for a referral or go straight to a Toronto endodontist. While a general dentist can diagnose most traumas, you may need to visit a specialist in serious cases. An endodontist specializes in trauma that involves the inner core as well as the surrounding areas of the root. Once the infected pulp has been removed, your general dentist may seal things back up with a crown. When your teeth are hurting, find the right specialist for the task at hand.